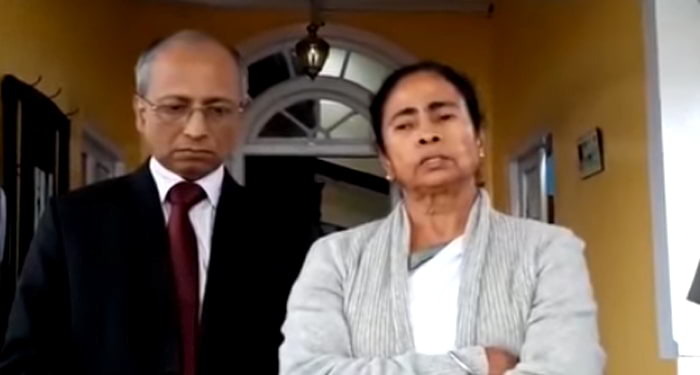 Mamata Banerjee speaking to reporters at Darjeeling. Chief secretary Malay De to her right. Siliguri: That a state university will be set up in Darjeeling Hills was announced by Chief Minister Mamata Banerjee a few months ago. She had even asked the Gorkhaland Territorial Administration (GTA) and the district administration to identify a probable site for the proposed varsity. 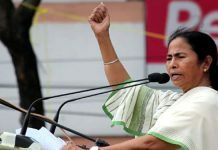 Today, the Chief Minister announced that the proposed university will come up in or around Darjeeling town and it will be known as the Darjeeling Hill University (DHU). “A university has been a long-standing demanding of the Hill people. They had raised the demand to the Centre as well but to no avail. Now, we have decided to set up the university here. 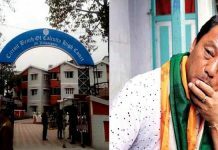 Besides, an education hub will be developed at Kurseong,” she said after an administrative review meeting GTA and district administration officials at Richmond Hill in Darjeeling today. In 2015, Banerjee had laid foundation stone for a campus of Kolkata’s Presidency University at Kurseong. This is part of the proposed education hub there. 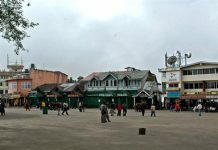 Meanwhile, the Chief Minister today constituted a committee headed by Darjeeling GJM MLA Amar Rai to chalk out a long-term plan for the all-round development of the Hills. GTA chairman Binay Thapa has been made an advisor to the committee. “The committee has to submit its report to the state government in six months,” the Chief Minister said. She also informed that new tourism spots will be developed in the Hills to boost the local economy.